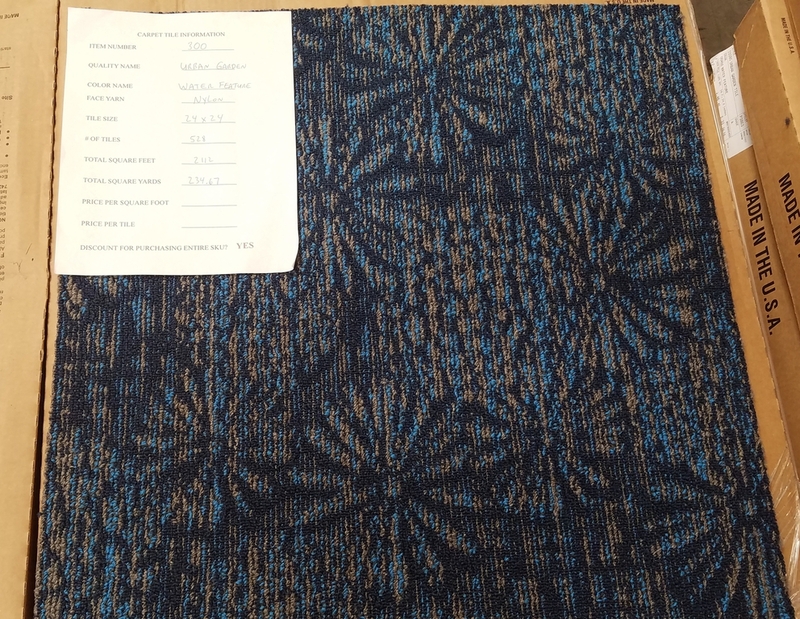 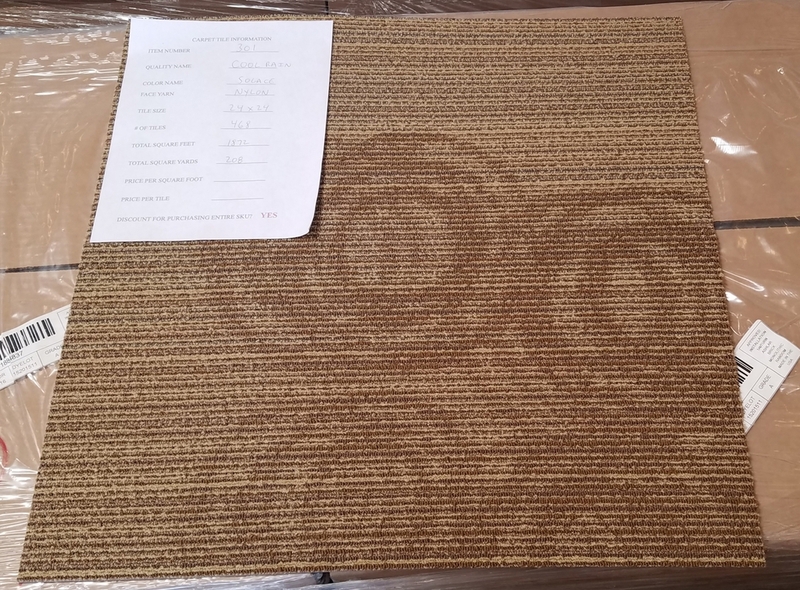 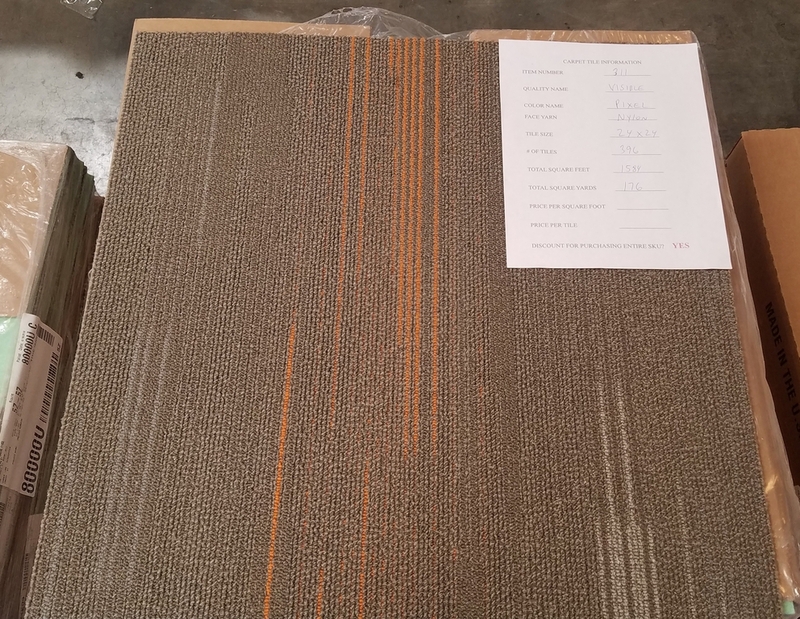 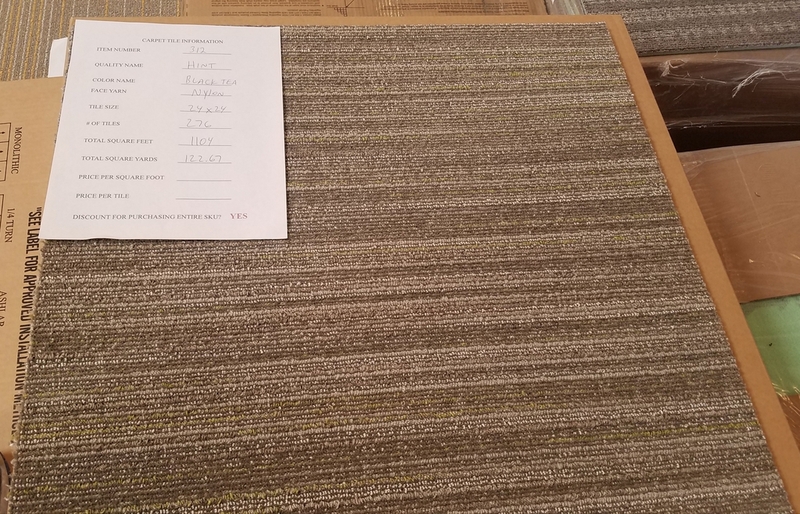 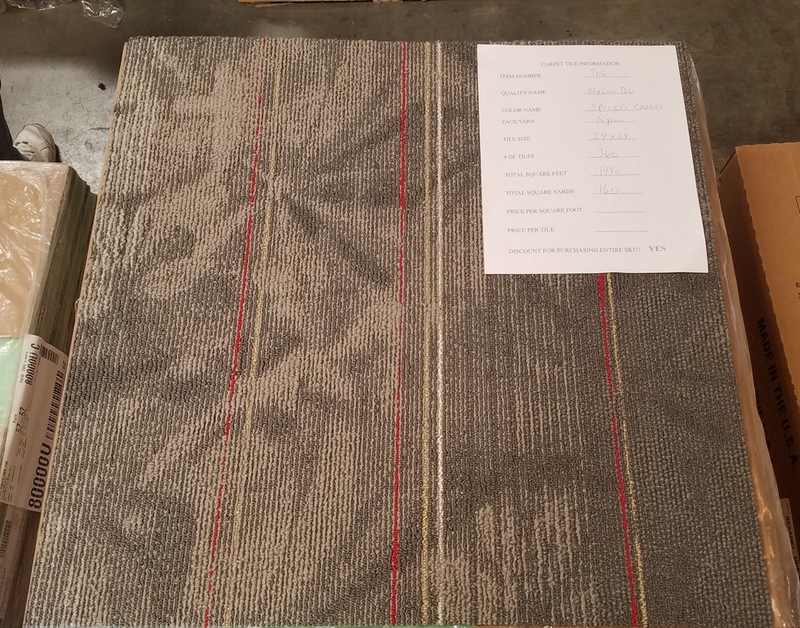 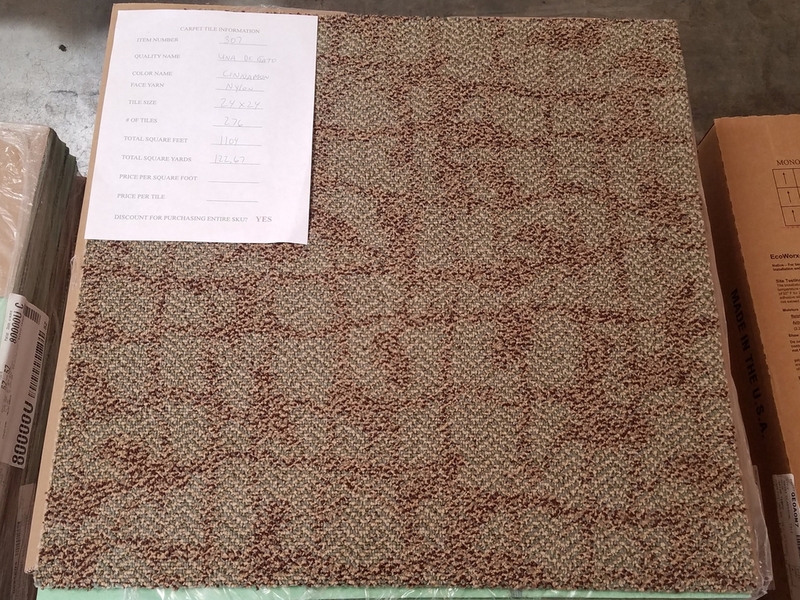 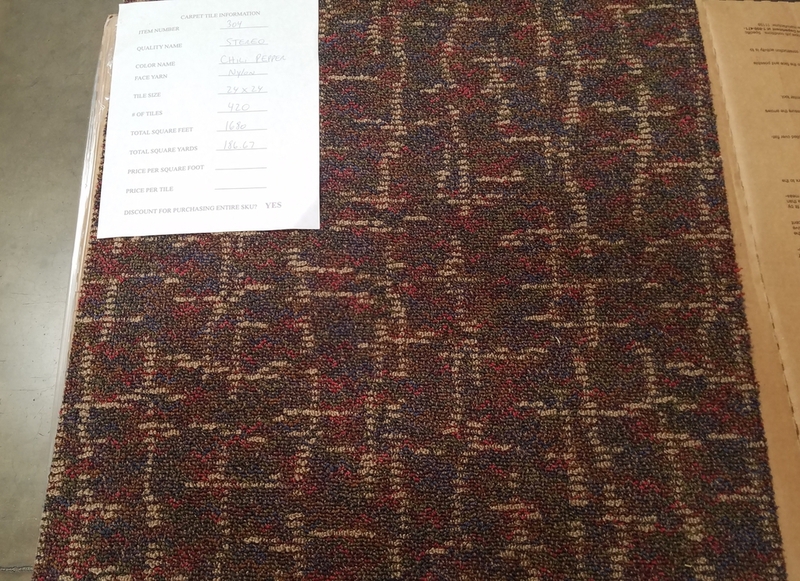 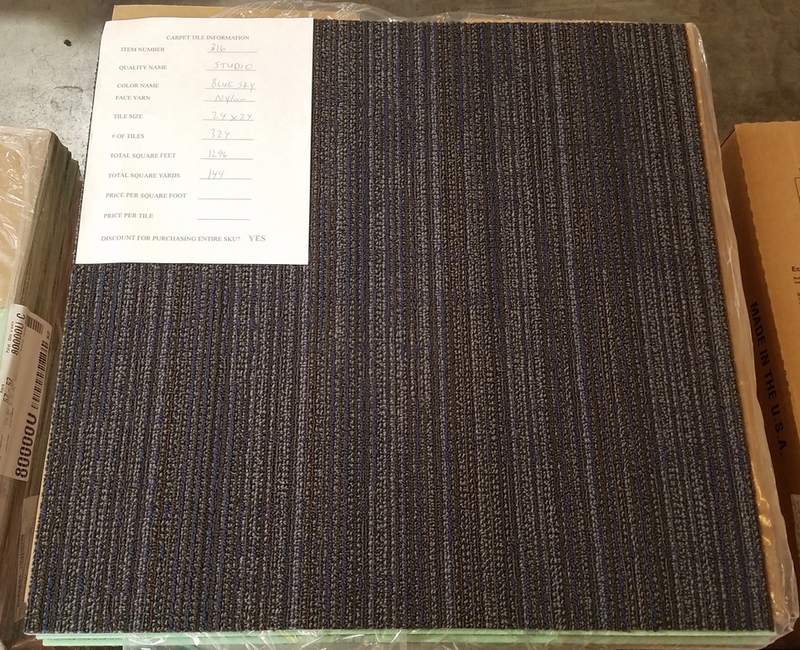 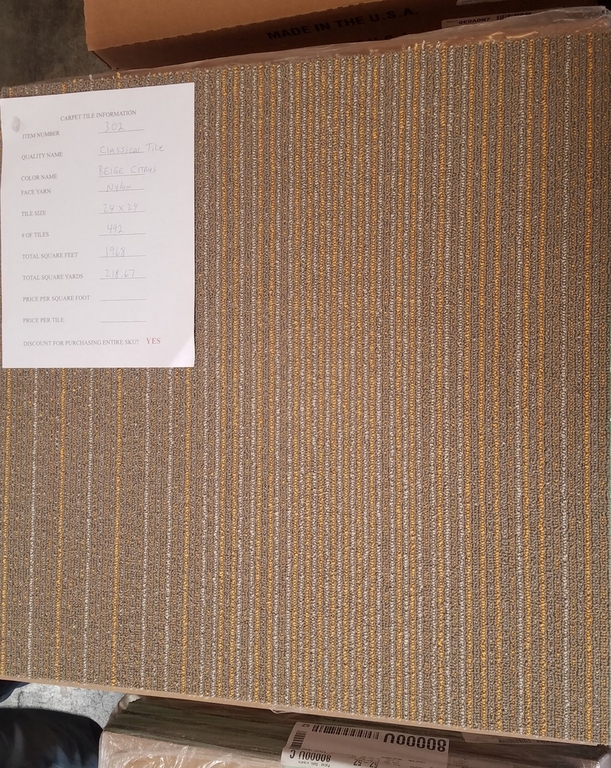 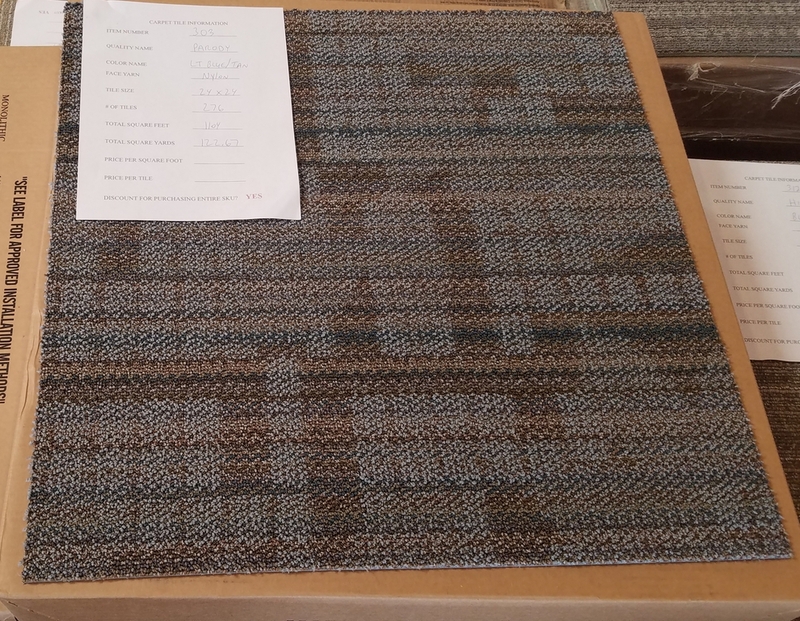 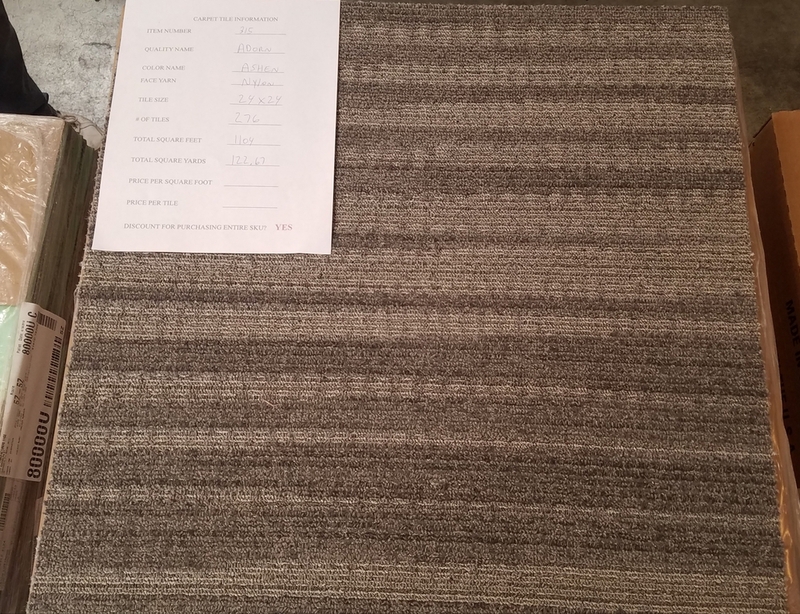 Take a look at part of our inventory of carpet tiles. 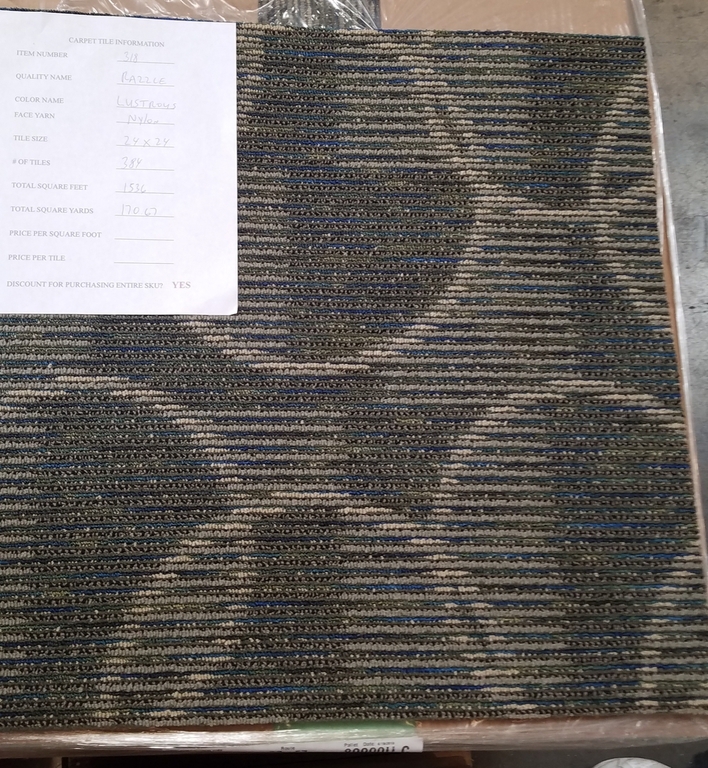 Commerical carpet tile, can be installed in many different patterns. 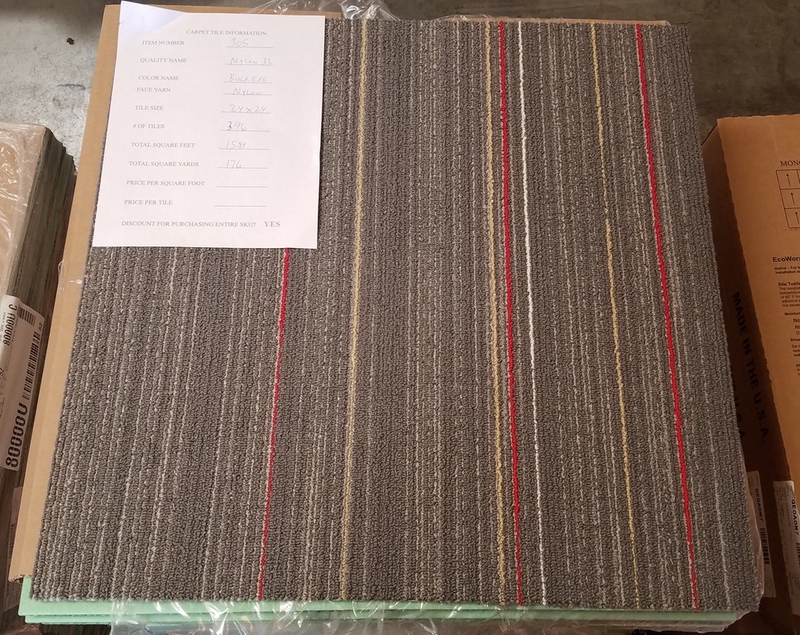 Carpet tile are high quality, made to stand up to heavy traffic, and easy to mantain. 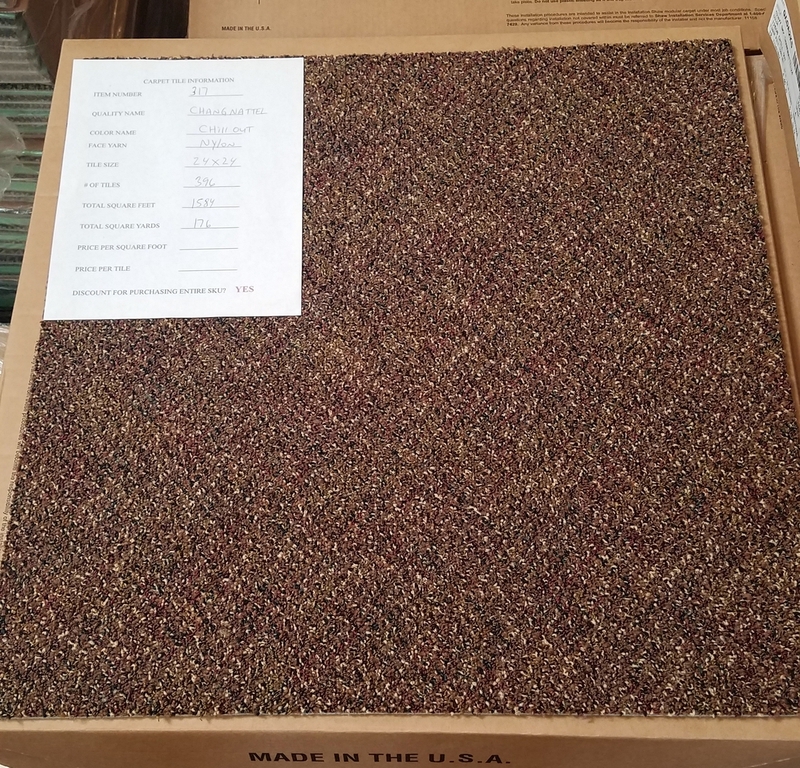 And all of the carpet tiles we have in stock, are Made in The USA.